Driving the demand for millets in the city is Dhanyam. But the husband and wife team of Madhusudanan K and Thendral didna��t always have it easy. When the organic store in T Nagar opened in 2009, they remember people bypassing their racks of millets. a�?Housewives didna��t know how to cook it and worried their family wouldna��t like it,a�? recalls Thendral, who encouraged them to start small, with pongal and upma. 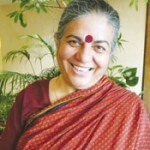 Her three-year-strong cookery show on Jaya TV, Arokiya Unavu, a�?where almost 95 per cent of recipes involve milletsa�? has also brought in a surge of awareness. a�?Today, over 80 per cent of all the orders have at least one millet product on it,a�? she laughs. Next up, she wants to publish a book on millet recipes, conduct workshops to spread awareness and increase the classes she already conducts in colleges on millets. Restaurants, too, are trying to steer their customers towards healthier eating. Isha Lifea��s Mahamudra restaurant in Mylapore conducted a millet festival recently, which went down a treat. a�?It began as a 10-day festival, but we increased it to 18 days because of the demand,a�? enthuses Meena Thenapan, the R&D-in-charge. 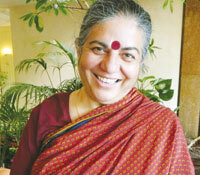 Adding that their cholam thayir sadam and kudravali halwa were hits, she says the festival will now be an annual event. In Besant Nagar, Food Karma, the restaurant begun by the Divine Science store, is doing its bit, too. a�?Besides introducing millets in all South Indian dishesa��from idli and dosas to upma and pongala��we are also experimenting with North Indian (mixed millet tandoori roti) and Chinese cuisine (Schezwan fried thinai),a�? says owner Srivatsa NC. After Diwali, he will also start millet awareness programmes with cooking classes at the restaurant. a�?But we are excited about a kidsa�� menu we are planninga��think baked millet samosas and millet cookies. We plan to approach schools in the city to open a counter in their canteens,a�? he says. Meanwhile, under the umbrella of the Womena��s Collective (WC), a grassroots organisation working to empower women, millets are the staple crop being cultivated by thousands of women farmers across the state. a�?There are only positivesa��ita��s nutritionally good, provides fodder, sustains the fertility of the soil and doesna��t require fertilisers and pesticides,a�? says Sheelu Francis, the president of the collective. The WC is also spearheading awareness campaigns, with volunteers organising classes in schools and colleges, holding recipe and cooking competitions, conducting cultural programmes like street plays, and even lobbying with schools to start millet canteens. a�?We have a catering unit in Kolathur, called Parampariya, where we serve only millet-based food. We also sell surplus farm produce and breakfast mixes, like dosa,a�? says Francis. For the last three years, WC has partnered with the Adyar Cancer Institute to run a millet outlet at its Youth Health Mela held every January. a�?We also had a live canteen during the Tobacco Free India Marathon 2014 at Island Ground,a�? she informs. people to eat locally-grown produce.
? Low-input crops, they are resilient and drought resistant. a�?Millets use 250 millimetres of water while rice uses 2,500 millimetres,a�? says Shiva. and far more accepting of diversity,a�? says Shiva.
? MINI and the Womena��s Collective are also trying to encourage millet cultivation. 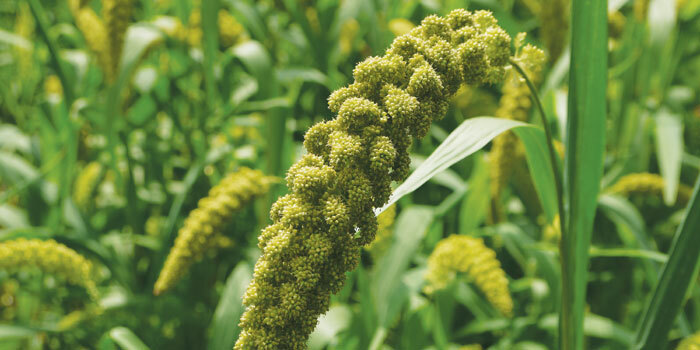 They are working with the government and panchayats to pass resolutions to encourage millet cultivation.